Directions: Study the following questions carefully and choose the right answer. 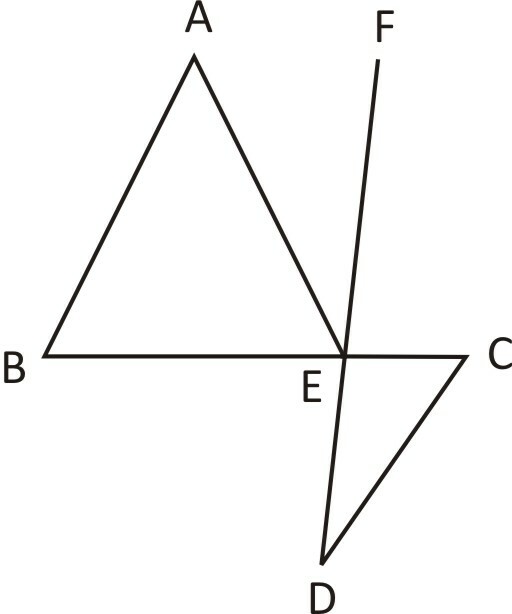 In the figure given below, ABC is a triangle. BC is parallel to AE. If BC = AC, then what is the value of ∠CAE? 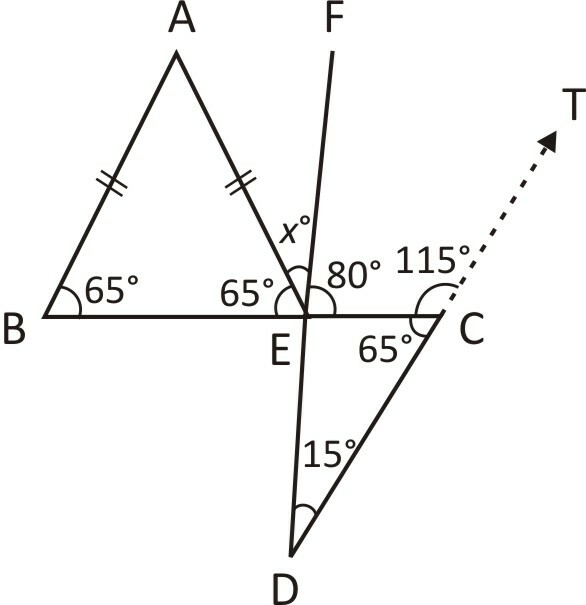 Hence, ΔABC is an isosceles triangle. ⇒ 115° = x + 65° ⇒ x = 50°. 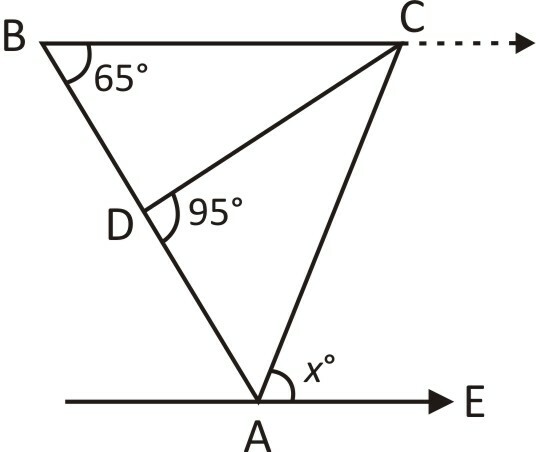 In the figure given below, AB is parallel to CD. ∠ABC = 65°, ∠CDE = 15° and AB = AE. What is the value of ∠AEF? Given that, AB = AE. i.e. 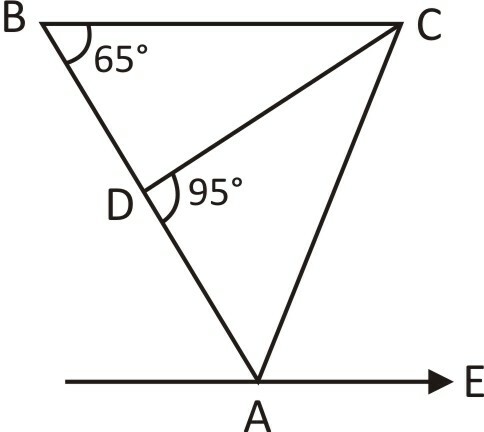 ΔABE an isosceles triangle. 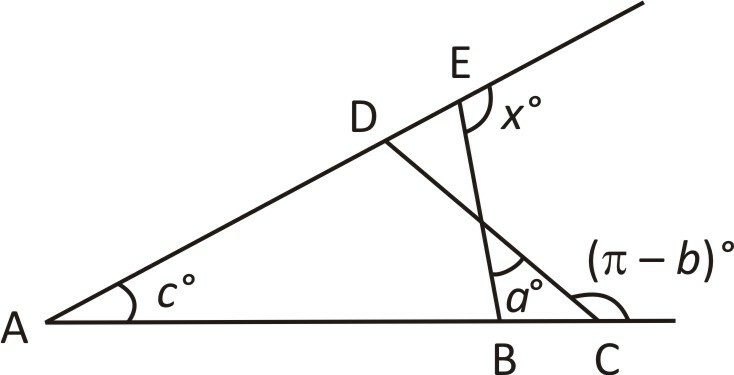 ∴ x° = 180° – 145° = 35°. Which one of the following is correct? ∴ x° = a° + b° + c°. I. The locus of points which are equidistant from two parallel lines is a line parallel to both of them and drawn mid way between them. II. The perpendicular distance of any point on this locus line from two original parallel lines are equal. Further, no point outside this locus line has this property. 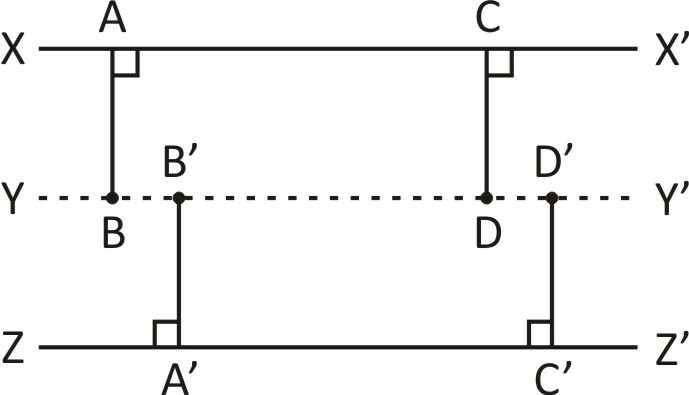 Statements I and II are both true, because the locus of points which are equidistant from two parallel lines is a line parallel to both of them and draw mid way between them. Also, it is true that the perpendicular distances of any point on this locus line from two original parallel lines are equal. Further, no point outside this locus line has this property. 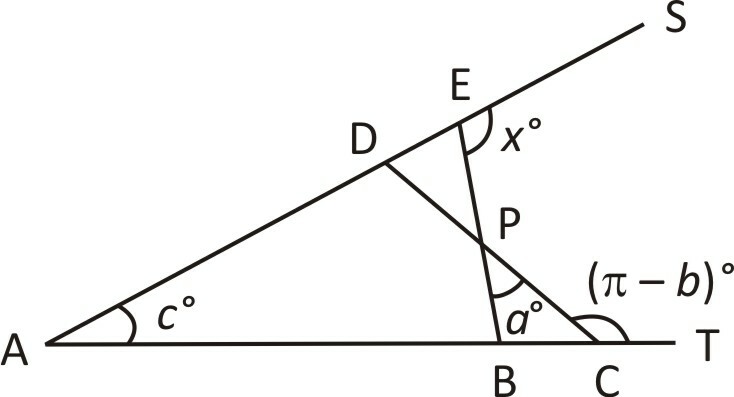 Which is the required angle.